That’s the number of the Egyptians who voted to ratify Egypt’s new constitution in December 2012 — at 68.8% of the electorate, it constituted more than enough votes to enact it, thereby promulgating the Muslim Brotherhood’s Islamist vision of constitution reform in the world’s largest Arab country a new constitution. The turnout in the March 2011 constitutional referendum was even higher. In that vote, 14.2 million Egyptians (77.3% of the electorate) approved changes to the previous constitution that were designed to launch a more democratic and representative government by the Supreme Council of the Armed Forces that effectively took control after the fall of former president Hosni Mubarak in February 2011. So as Egyptians vote today (and tomorrow), it will be the third such post-Mubarak constitutional referendum. “I am telling them, they will be faced with force, decisiveness and strength never seen before,” interior minister Mohammed Ibrahim said on state TV on Monday. “Everyone rest assured, we are watching your back”… State television showed Ibrahim on Monday inspecting some of the 350,000 police and army personnel, including special forces and paratroopers backed by armored vehicles and helicopters, currently being deployed to streets across the country to secure the polls and encourage a high turnout. That’s not the most reassuring statement that the referendum will be an incredibly free and fair election. Nonetheless, the referendum is seen as the first step in a series of elections that will mark Egypt’s ‘transition’ from military rule to a more lasting democracy. The current atmosphere augurs poorly for future elections set to take place later this year. Under the constitutional reforms, Egypt’s interim government will have three months from the date of the new constitution’s enactment to call either parliamentary or presidential elections, with the other elections to follow within six months from the date of enactment. That means by the summer, Egypt should have both an elected president and an elected legislature. Despite a genuinely robust marketplace of political actors in Egypt today, the constitutional process seems less like a real transition than a stitch-up for Abdel-Fattah El-Sisi to become Egypt’s next president. El-Sisi (pictured above), who’s currently the minister defense and head of the armed forces, last week indicated he is edging ever closer to a formal run for the Egyptian presidency later this year. While El-Sisi is a charismatic figure with genuine popularity throughout Egypt, it’s hard to believe that he represents much more than Mubarak 2.0 — a strongman willing to sustain a crackdown on Egypt’s Muslim Brotherhood. More troubling is that hardly anyone in the past three regimes — the initial post-Mubarak SCAF government, the Islamist Morsi government, or the current military government — have prioritized Egypt’s crumbling economy. Poor employment options for a young populace and stagnant economic growth were factors in the initial 2011 protests, but the economic situation has worsened over the past three years as Egypt’s political crisis has deepened. El-Sisi’s closest competition — and perhaps the greatest hope for a civilian Egyptian government in 2014 — is Hamdeen Sabahi, a leftist, nationalist, neo-Nasserite figure who rose to prominence in the 2012 presidential election. Though Sabahi actually won the highest number of votes in Cairo, he very narrowly trailed the two frontrunners, Morsi and former air force commander Ahmed Shafiq, thereby missing the subsequent runoff. Sabahi, who formed the Egyptian Popular Current (التيار الشعبي المصري) in 2012, has allied with the wider umbrella group of secular liberals, the National Salvation Front (جبهة الإنقاذ الوطني‎) that’s headed by Mohamed ElBaradei. Sabahi firmly opposed Morsi and initially supported Morsi’s removal, but he’s also indicated that he believes El-Sisi should remain within the military. Given El-Sisi’s rising popularity and control of the current government, it’s difficult to know if Sabahi (or anyone for that matter) has the political power to defeat the general if he progresses with a presidential bid. Religion and state. Perhaps the most important changes regard the role of religion in Egyptian government. The constitution curtails the role of Al-Azhar, the Cairo-based Sunni theological institution, which previously held a consultative role in the legislative process. It removes additional provisions that Morsi and the Muslim Brotherhood previously included with respect to religion, such as an article criminalizing the ‘insult’ of messengers or prophets, and it introduces a new rule in Article 74 that forbids the creation of political parties on the basis of religion. While the 2013 version still proclaims that sharia is the ‘principle source’ of legislation, the new text is vague about what exactly that entails. Though it seems fair to predict that the government’s designation of the Muslim Brotherhood as a ‘terrorist group’ in December 2013 will severely handicap the ability of its political wing, the Freedom and Justice Party (حزب الحرية والعدالة‎) to field candidates in the upcoming election, the new constitution could also spell trouble for the Salafist Al-Nour Party (حزب النور‎, Arabic for ‘Party of the Light’). In the 2011-2012 parliamentary elections, the Salafists finished second only to the FJP. That means that they stand to capitalize greatly from the regime’s decision to outlaw the Muslim Brotherhood, and Salafists have played an essential role in legitimizing the current constitutional process from the Islamist camp. But the party’s status and future is far from certain under the terms of Article 74. New political mechanics. The new constitution eliminates the Shura Council, the upper house of the Egyptian parliament, in favor of a unicameral House of Representatives (مجلس النواب), currently the 508-member lower house of the Egyptian parliament. In some ways, the constitution limits the power of the Egyptian presidency. It allows a two-thirds parliamentary majority to withdraw its confidence from a sitting president and force early elections, and it also provides a clear process for the impeachment, removal and trial of a president. Both changes stem from the Morsi experience — there’s no doubt that Morsi had lost the confidence of much of the Egyptian electorate over the course of his year-long presidency, but the previous parliament lacked the ability to impeach Morsi. The constitution also fortifies the Egyptian presidency. Interim president Adly Mansour and the current regime will determine the details of the electoral system for the upcoming presidential and parliamentary votes. Moreover, the new Article 102 allows the Egyptian president to appoint up to 5% of the members of the House of Representatives. The president has the power to appoint the prime minister, and the president (not the prime minister) expressly holds the power of appointment for four important ministries — defense, foreign affairs, justice and interior. The constitution also fails to enshrine the right to elected governors in each of Egypt’s 27 governorates, providing instead that governors can be either elected or appointed. That’s a particularly unfortunate failure in light of Morsi’s administration. In one of his most egregious decisions as president, Morsi reversed a pledge to hold gubernatorial elections and instead directly appointed his own Muslim Brotherhood allies as governors. 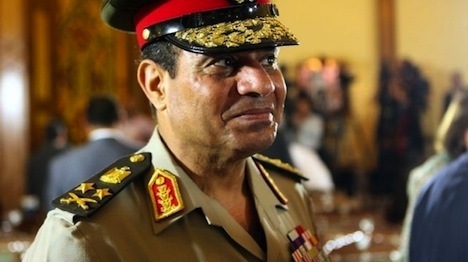 Unsurprisingly, the military retains a key role in Egyptian public affairs. Military trials of civilians will continue under the new constitution, the military budget is approved outside of the normal legislative process, and the military holds a veto right over the appointment of the defense minister for the next eight years. Greater human rights protections. On paper, at least, the new constitution enhances human rights protections. In particular, the new constitution adds stronger language with respect to protecting women from violence, enshrines the concept of a free and independent media, denounces the use of torture in clear terms and outlaws human trafficking. It also gives the force of law to ‘agreements, covenants and international conventions of human rights,’ which could pave the way for even greater human rights in Egypt, if the judiciary has sufficient independence. It’s more doubtful that the military government (or whatever succeeds it) will abide by those protections in light of its willingness to open fire on protesters, leading to hundreds of deaths since July 2013, and to arrest and detain opponents — and not just including pro-Morsi protestors, but activists of all stripes. The preamble also links the 2011 protests that ousted Mubarak (the ‘January 25’ revolution) with the 2013 protests against Morsi (the ‘June 30’ revolution) that led the Egyptian military to remove him from power, though even many regime supporters would disagree that the two sets of protests were founded upon the same set of goals.